Sega’s been giving out Yakuza games like candy, and I am not complaining. Last year, Yakuza Kiwami’s remaster of the first game helped new fans experience an old class. Now, we have Yakuza Kiwami 2 and while not everything from the old game holds up, there’s still a lot to love. Set one year after Yakuza Kiwami, the story follows ex-yakuza and all-around nice guy Kazuma Kiryu as he gets dragged into a plot to destroy his former clan. Kiryu’s attempts to prevent all-out war lead him to team up with a tough female cop named Kaoru Sayama. Together, they bust a lot of skulls and learn a surprising secret about Sayama’s past. Per the Yakuza standard, the game is a mixture of open world exploration and arcade-style brawling. 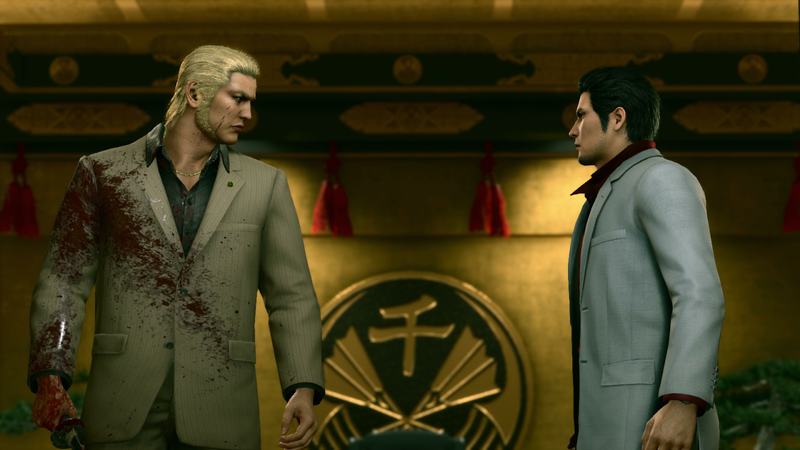 Yakuza Kiwami 2 expands the scope much more than Yakuza Kiwami did for its source material, adding new story perspectives and ramping up the graphics. Many people consider Yakuza 2 to be one of the best in the series. I’m not so sure about that, but it does benefit from a remaster far more than the first game. A new game engine—the Dragon Engine first used in Yakuza 6: The Song of Life—helps old locations feel as real as ever, and the the revamped cutscenes elevate the drama. Speaking of drama, the plot can get unwieldy even if it remains compelling. Yakuza Kiwami 2 feels weighed down by the sheer number of conspirators brought into the mix. Labyrinthine criminal plots are par for the course in this franchise, but other games like Yakuza 0 or Yakuza 4 used multiple protagonists to give the player the chance to naturally move from subplot to subplot until the storylines eventually connect. Yakuza Kiwami 2 stacks subplots on top of each other and has the player running around between set pieces that can feel random at first, and only later become clear. I kept thinking: Who am I fighting? Where am I going? It can be hard to tell, since the game doesn’t spend much time focusing on its cast outside of Kiryu and his core group of allies. As a result, the middle chapters felt bogged down by fetch quests and busy-work. Other Yakuza games have similar moments, but in those games, they have more narrative weight. Yakuza Kiwami 2 also isn’t as thematically consistent as this year’s other entry, Yakuza 6: The Song of Life, but its narrative has some of the most propulsive highs in the entire series. This is the story that solidifies Kiryu’s reputation as the ‘Dragon of Dojima,’ building his legendary status through a series of difficult battles. I felt surprised by the game’s difficulty and found myself thinking far more strategically in this game than in other titles. Over the course of playing, I adjusted to how the Dragon Engine handles combat, and I came to appreciate how rough and impactful each fight felt. Whether it’s a gauntlet fight sequence against no-name thugs or one of the many boss fights, Yakuza Kiwami 2’s harsh combat really complements the criminal drama. The game’s antagonist, Ryuji Goda, is the glue that binds everything together. Yakuza Kiwami spent time exploring the motives of its highly flawed antagonist By contrast, Goda is larger than life, more a force of nature than a man. He lights up the screen every time he appears. Kiryu and Goda are on a collision course, like a hurricane bearing down on a mountain. The game doesn’t let us learn much about Goda’s interior life compared to other villains, but he is charismatic and feels genuinely dangerous. The game’s middle chapters start to feel like a slog, but the climax between Goda and Kiryu is among the series’ finest moments and worth pressing on to see. Yakuza is not always about serious gangsters and bloody violence. It’s also about sidequests, mini-games, and spending time with familiar faces and places from the Yakuza world. In addition to the series staple of Kamurocho, Kiryu returns to Sotenbori, the fictional Osaka entertainment district from Yakuza 0. Each location features arcades and sidequests to distract the player from the game’s weighty plot, including a return of the absolutely incredible cabaret club management mini-game. More importantly, the game features an entirely separate story mode starring Yakuza 0 protagonist Goro Majima. This remaster takes the time to put its story into context and connect it to the rest of the series. Yakuza Kiwami 2 often feels like a direct sequel to Yakuza 0, with additional content that ties up loose story threads. In writing a guide to the series, I described Yakuza Kiwami 2 as skippable, and while I think that applies to fans who just want to hit Yakuza 6, I think that fans who hopped aboard the series with Yakuza 0 should hit this game up for Majima’s storyline alone. I can’t recommend the Yakuza series enough even if Yakuza Kiwami 2 can be a little tough to swallow at times. Every time I get to write about it for the site, I hope that readers will dive in and experience the various twists and turns of each game. There’s intrigue and drama, but also karaoke and mini-golf. Yakuza Kiwami 2 has some rough edges but features all the things that make the series great.